Emily Weiss began her blog Into the Gloss in 2010, the same year I started Ol' Green Eyes. In the years that followed she managed to turn her blog into a fully fledged website that as of last year boasts an impressive 1.5 million unique views per month. Into the Gloss is famous for its Top Shelf series of interviews that delves into the bathroom cabinets and make up bags of musicians, actresses, artists, hairstylists, makeup artists, photographers, chefs, models, writers, designers and many other people as they talk through their favourite products. There are so many women (and men) that have shared their favourite products (here's a list of the 25 most featured from 2016) on the site from Kim Kardashian to Grace Coddington to Emma Watson, Catherine Deneuve and Bobbi Brown. 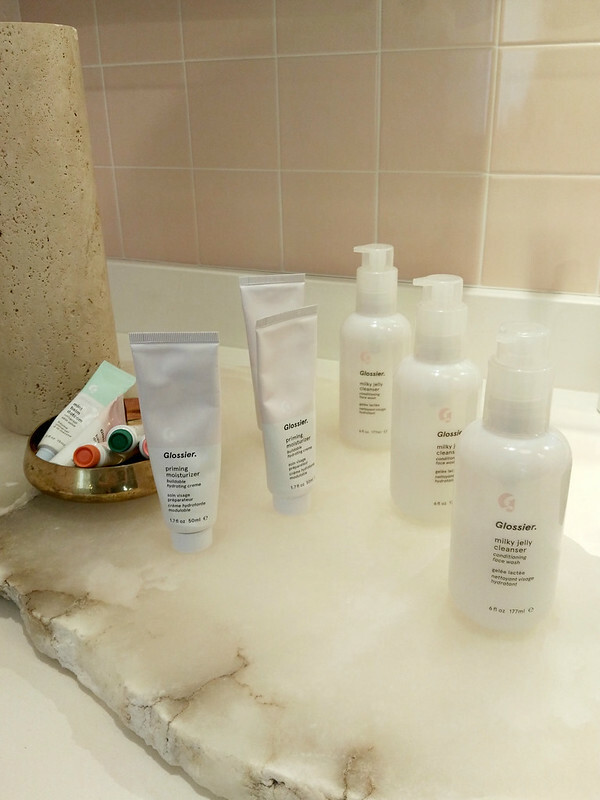 After getting a glimpse into so many varied Top Shelves and reading thousands of reader comments on her website, Emily Weiss felt like the beauty industry was missing something, and so Glossier was born. Over the years I had heard of Into the Gloss and I may have visited the site, I honestly can't remember. 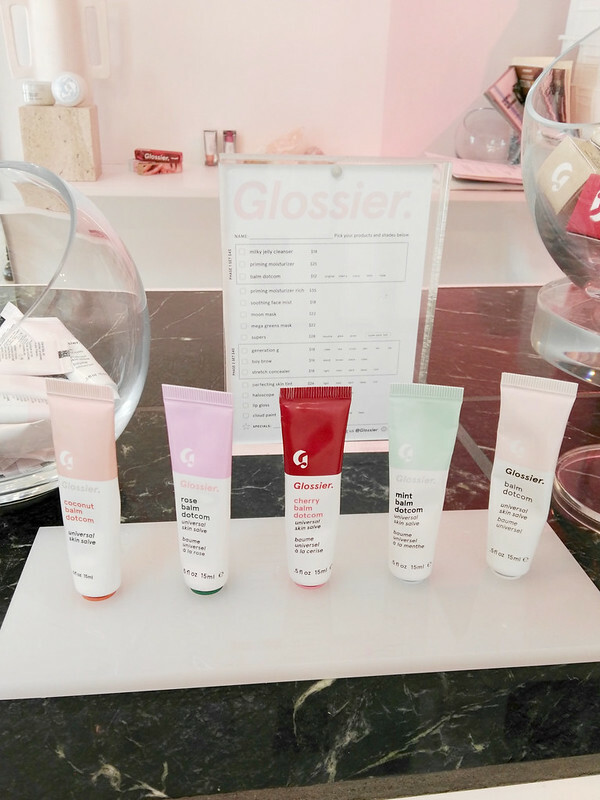 When Glossier launched in 2014 with just four products, the Priming Moisturizer, the Perfecting Skin Tint, the Balm DotCom and the Soothing Face Mist. I remember reading about it at the time and making a mental note to look into the brand more once the initial launch hype had died down. 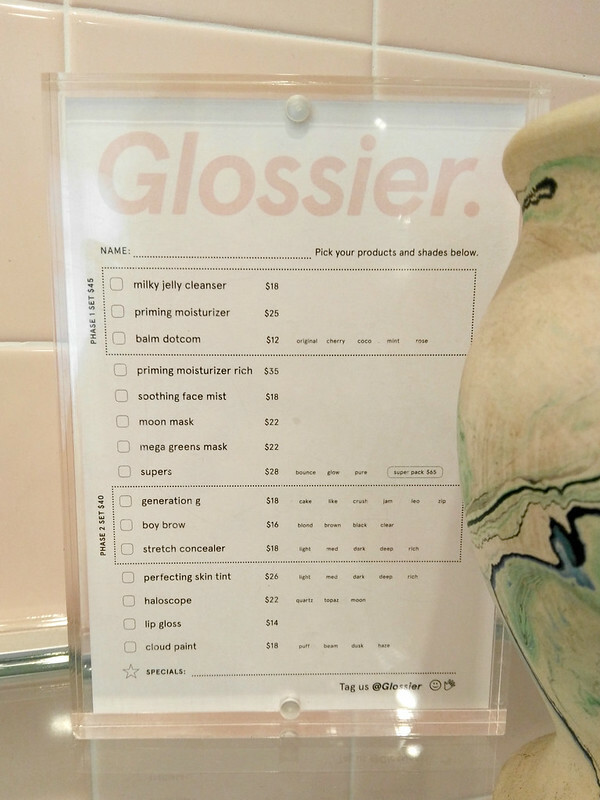 It seems that the hype has grown steadily over the years however and Glossier have popped up on my radar more and more over the past three years of its existence. 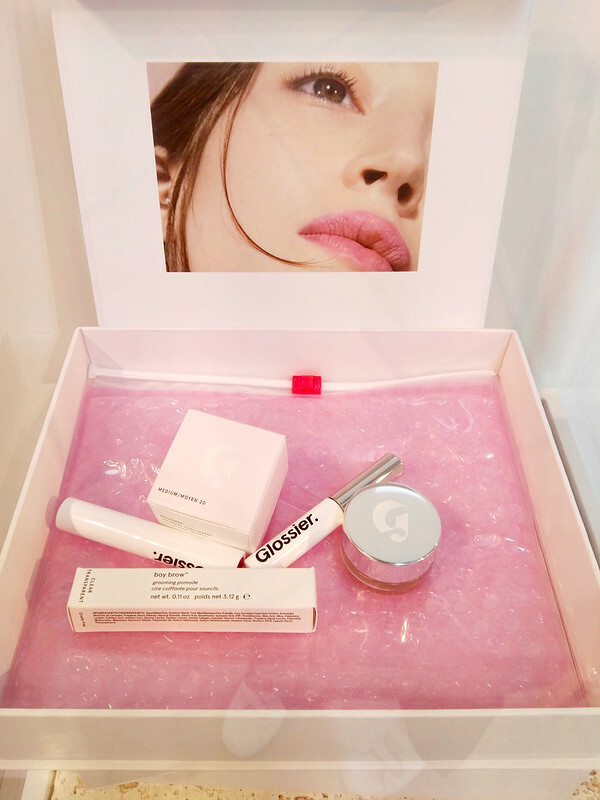 At first, the only way to buy Glossier was from the website, which currently only ships to the US and Puerto Rico but is apparently going to be shipping to the UK later in the year and they are working on international shipping too. 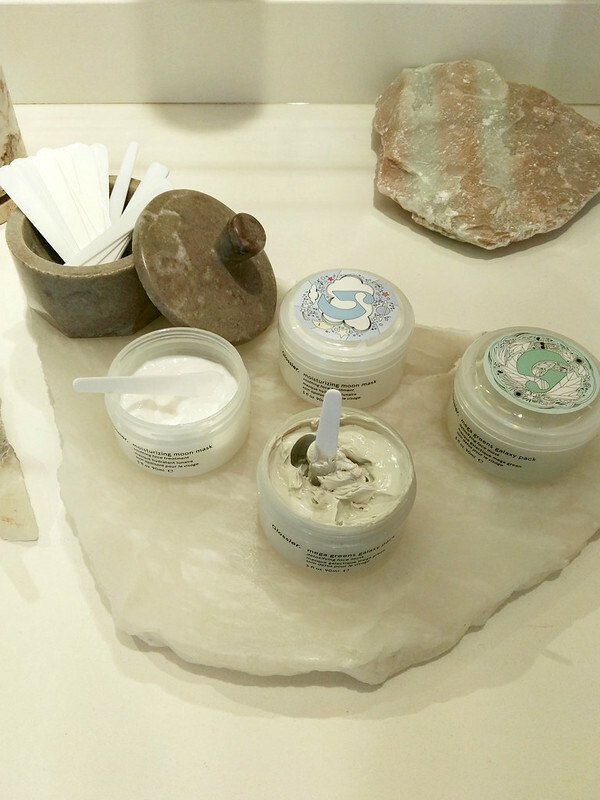 Last December, the Glossier Showroom opened permanently on Lafayette St in New York. Because of the limited access to the brand from Europe, I hadn't seen too many people that I follow talk about the products but that seems to be changing as more people are visiting the showroom. In fact in the past few weeks three British bloggers and YouTubers I follow have posted videos about Glossier products, Alix from I Covet Thee, Anna from The Anna Edit and just today, Fleur from Fleur deForce. 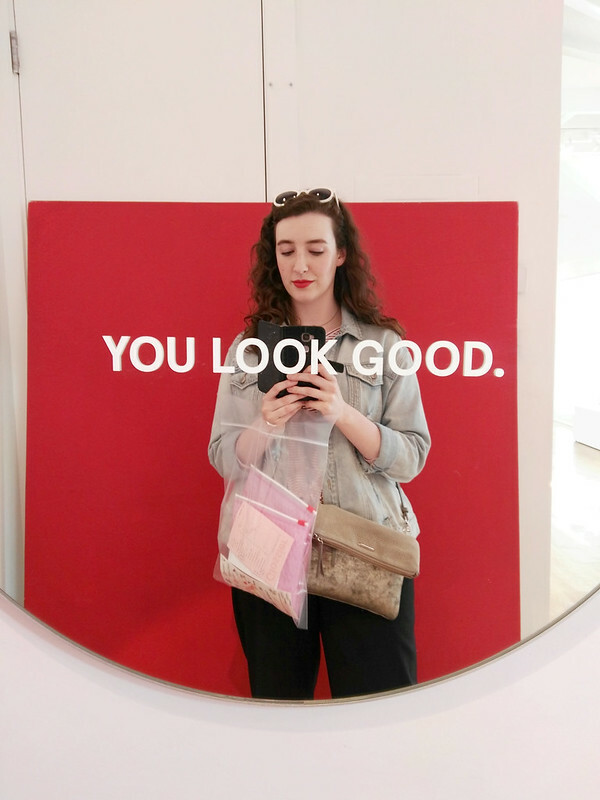 Other ladies who I follow who have mentioned their love of Glossier products are Tara from Tarmarz, Jess Clements, Irish blogger and freelance journalist Rosemary MacCabe and makeup artist Katie Jane Hughes who I've seen use a lot of their products in live demos in Instagram. 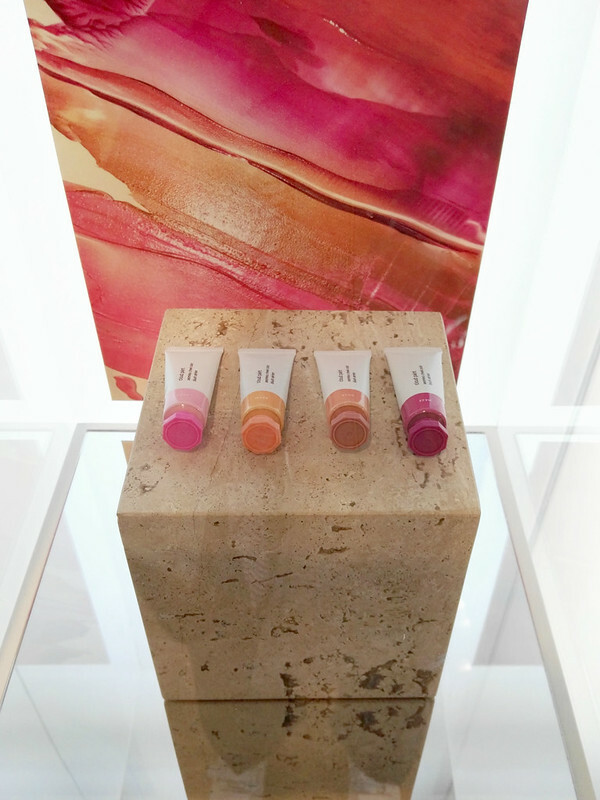 It was the launch of the Cloud Paints earlier this year that really peaked my interest and I was impatiently awaiting our trip to New York so that I could visit the showroom myself and finally see all of the products in person. I thought it would be interesting and possibly helpful to some people to write about my experience visiting the showroom because it's such a unique experience. 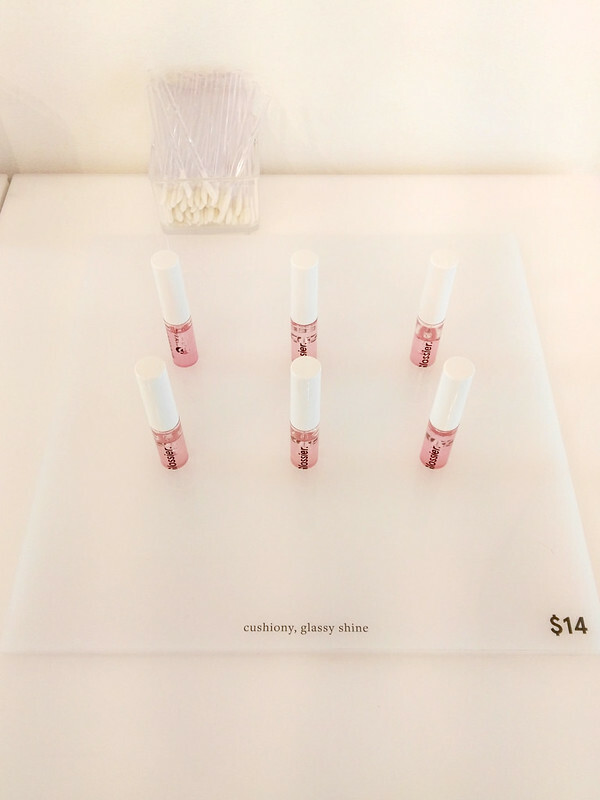 The Glossier showroom is the only place that you can test out the products before buying them which gives it a certain amount of exclusivity that I'm not sure if I like or not. Until December, this brand had been almost completely based online. They apparently have a very low returns rate so something is obviously working. However, I'm not crazy about the idea of not being able to try any of the products myself before buying them. I have done it in the past after after extensive research and review reading but in general if I'm going to be parting with my hard earned money, I want to at least be able to try something in person first. This wouldn't have mattered much in my case anyway as Glossier don't ship to Ireland so apart from visiting New York or placing an order and having it sent to one of my relatives in the US to send on to me (which I did consider doing) there's no way for anyone outside of the US (or Puerto Rico) to get their hands on Glossier. I feel like for a lot of people, admittedly myself included, this exclusivity has added to the hype. Its inaccessibility makes it all the more coveted. I went to the showroom twice, the first time was on a Monday at around lunch time. We were going to walk through Soho and Greenwich Village towards Chelsea market and the High Line so we got off at the Canal St subway station and went to Glossier first. As we entered the building, there was a member of staff there to direct us to the lift that takes you up to the penthouse. We got out of the lift and immediately I was impressed with how bright and spacious the showroom was. It was quite quiet, there were maybe three other customers there and four members of staff. I glanced around the room for about a minute and then one of the Glossier 'Editors', which is what the staff are called, approached me dressed in a pale pink jumpsuit and white runners (which is the best uniform ever) and asked if it was my first time there and then explained that I was free to look around and then if I wanted to buy anything I could go back to her and she would make a list of my order for me. My patient boyfriend waited with his book (they have a seating area for just that reason I'm sure!) while I spent about 15 minutes having a good look around, taking photos which you can see below and swatching anything I wasn't sure about. I had made my list of three things I definitely wanted to try: Boy Brow, Milky Jelly Cleanser and one of the Cloud Paints, but I knew I'd inevitably buy a lot more. I ended up getting those three products (I went for the Cloud Paint in the shade Puff in the end) and the Skin Tint in light, as well as the Stretch Concealer, Boy Brow and Cloud Paint in puff for my sister too. I went back to the woman who had originally approached me and gave her my list. She informed me that because I was buying the Boy Brow and Stretch Concealer I could get a Generation G lipstick for an extra $2 as part of their Phase 2 set. 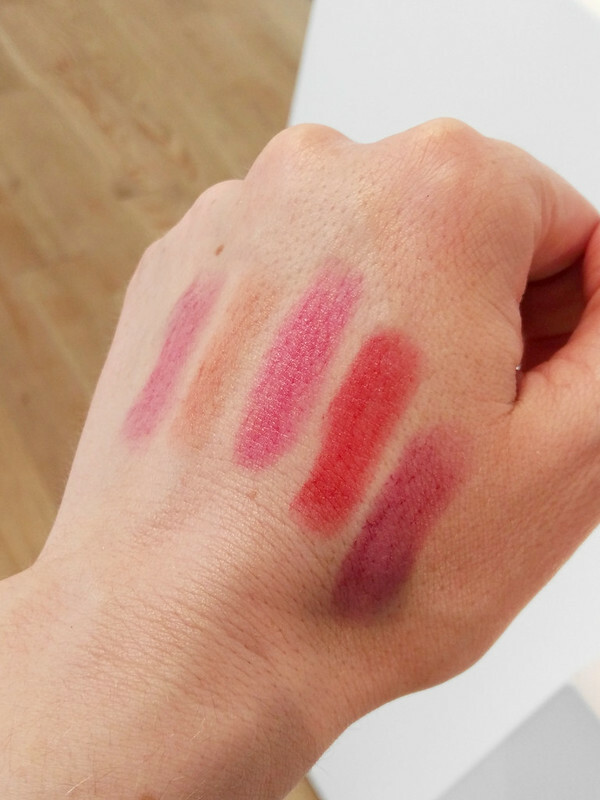 The lipsticks actually hadn't really interested me at all which is unheard of for me as its usually the product I'd gravitate towards first when trying any new to me brand. It was too good of an offer to pass up so I went over to have a good look at all of the shades and swatched them on my hand. Instead of going for the obvious red, I ended up choosing Crush which is a raspberry pink shade. There was no queue so I was served straight away. The girl who served me was very friendly and we chatted about it being my first time in New York and I told her I was getting some bits for my sister too so she gave me extra stickers for her which made me feel like a kid again! I gave my email address to be emailed my receipt and she packaged up my order in the pink bubble wrap packaging and that was the end of my first Glossier showroom trip. 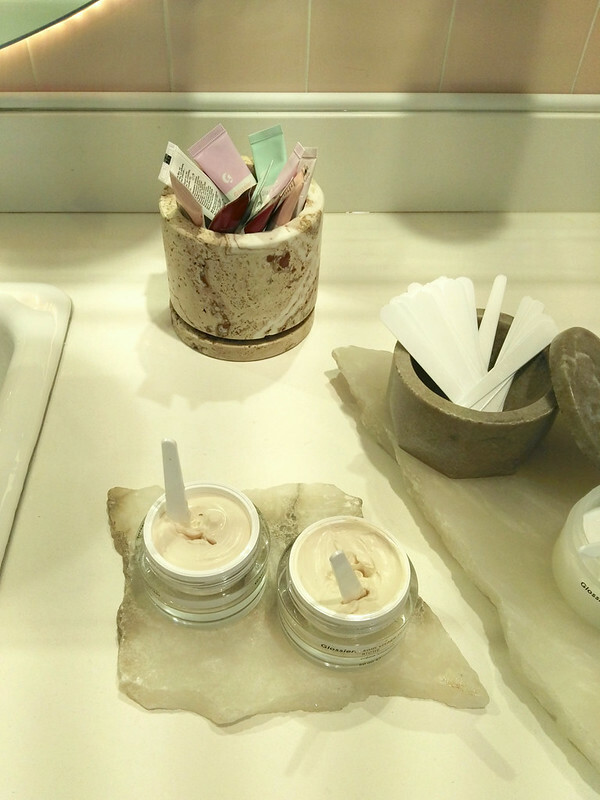 When I went home later that night I started looking though the products I bought and looking up reviews for other products and I knew immediately that I wanted to pay a second visit to the showroom. A few days later, I went back to Glossier after our subway ended up not stopping where we thought it would and we had to get off at Canal street again (I was devastated as you can imagine!). This time I had my sights set on the Stretch Concealer and one of the Haloscopes (which I didn't end up getting and now very much regret). Instead I also bought the Super Glow serum, the Lip Gloss and the Balm Dotcom in Rose as well as a few more things for my sister. The second trip was on a Thursday if I remember correctly. It was a little bit later in the day and a lot busier. There were only two staff members, one at the cash desk and one on the floor. I already knew the drill so I made my list in my head and then approached the one staff member who it seems was being annoyed by two girls who were asking questions while laughing and filming each other. She kindly made my list for me and I joined the queue which consisted of four men who were obviously very obliging husbands and boyfriends. I felt sorry for the cashier because I know what it's like to be short staffed and have a huge queue which kept building. She was calm, friendly and genuine none and the less and asked how my day was going and didn't rush me at all which I appreciated. I'm glad that I got to look around in peace the first time because it was a lot harder when it was busier. All in all my experience was very positive. I knew what I wanted which helped, especially if you go on a day when it's busy. The staff were all genuine and friendly and everything I wanted was in stock which I was a bit worried about after hearing about waiting lists and products being sold out. You can see below all the products I bought. I didn't expect to get as many things as I did but I figured it's a brand I really wanted to try and I have no idea if or when they'll be shipping to Ireland so I figured while I was there I should make the most of it. I think the prices are quite reasonable. It's a mid range brand comparable to the prices of MAC. I have tried everything, some more than others and so far my stand out favourite is Boy Brow which seems to be the case with everyone. I've used the cleanser a few times and I love it so far. 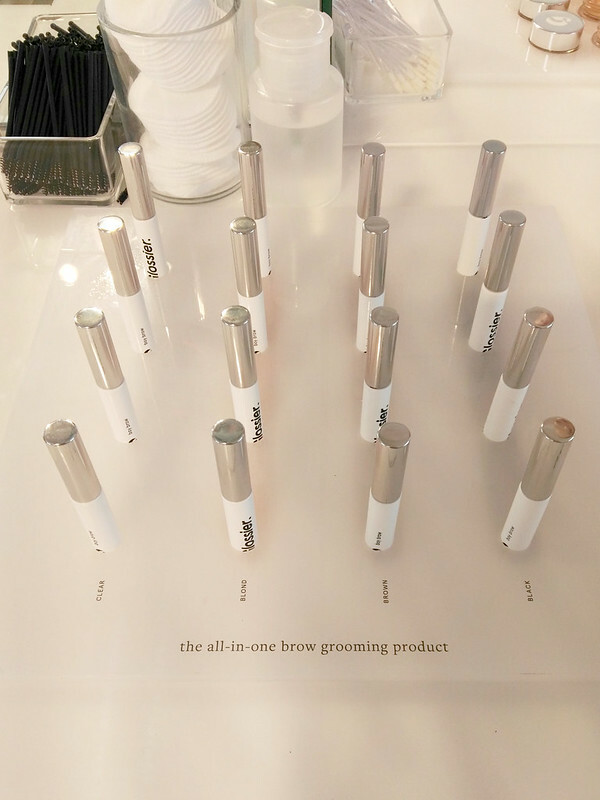 The Perfecting Skin Tint is exactly that, a tint. It's the lightest coverage and all it really doesn't is even out your skin tone so if you're in any way self conscious about your skin, this will not be for you. I however really liked it, although I've only used it once when my skin was quite good with no breakouts so I'll be testing it out more before I give my full opinion. The Cloud Paint is such a gorgeous bubblegum pink shade and I can see myself wearing it lots over the Summer. The lipstick is something I didn't think I'd like but I actually really do, it's a sheer matte formula so it's almost like you've been wearing a berry lipstick and it's left a stain behind when you take it off. I looks great with the Lip Gloss on top too. I haven't really tried the Balm Dotcom, Stretch Concealer or Super Glow enough to have formed any kind of opinion yet. I'll definitely be revisiting these products in a blog post once I've properly put them to the test. The only thing I really regret not buying is the Haloscope in Quartz because I've since seen several people using it and it looks so beautiful and natural on. They released their Invisible Shield sunscreen the week after we left New York and I was so annoyed I missed it by a week because I would definitely have bought that too as I'm a sunscreen fanatic. So far I'm really impressed with Glossier. I adore the minimal, clean packaging and the millennial #glossierpink colour. The whole ethos of the brand appeals to me, which it won't to everyone but that's fine, there's plenty of room for all different kinds of brands. Emily Weiss has said it herself Glossier is about glowing, dewy skin. It's skin first, makeup second. I whole heartedly agree with this message. 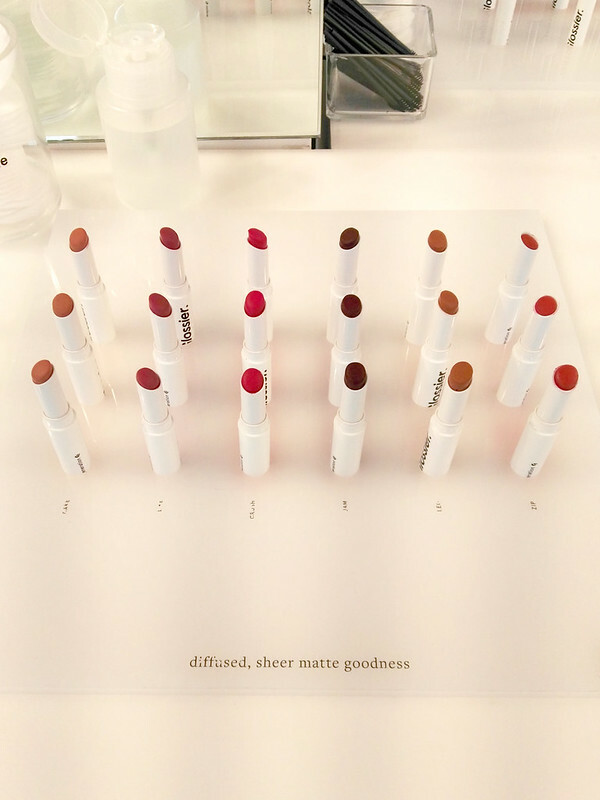 In a world of contouring and baking and "Instagram brows" and lip liner and lip fillers and Kylie Jenner lip kits, for me, a brand like Glossier is a breath of fresh air. They promote a more natural look and using good skincare and fool proof minimal makeup which is something I think has been lacking in the beauty industry over the past few years. I am by no means criticising a persons choice to wear lots of make up. I have done and still do it myself sometimes, when I have breakouts, using a heavier foundation to cover them makes me feel more confident. Do whatever makes you feel happy and confident. I tend to prefer a more natural aesthetic, but that's just me. The great thing about makeup is you can do whatever you want with it and create completely different looks depending on how you feel or what you're wearing or where you're going or how confident you're feeling about your skin. Say what you will about Glossier, to go from being a part time blogger to creating and developing your own skincare and makeup brand is a huge achievement. I have such admiration for women who work so hard and are so passionate about their brands because its not an easy thing to do. To think that Emily Weiss is only a couple of years older than me and has been doing what she's done with Into the Gloss and Glossier in the same time I've had my blog is very inspiring. I've watched and read interviews with her and she comes across as someone who is genuinely just so excited and passionate about what she does. I'm excited to see what happens next for Glossier. 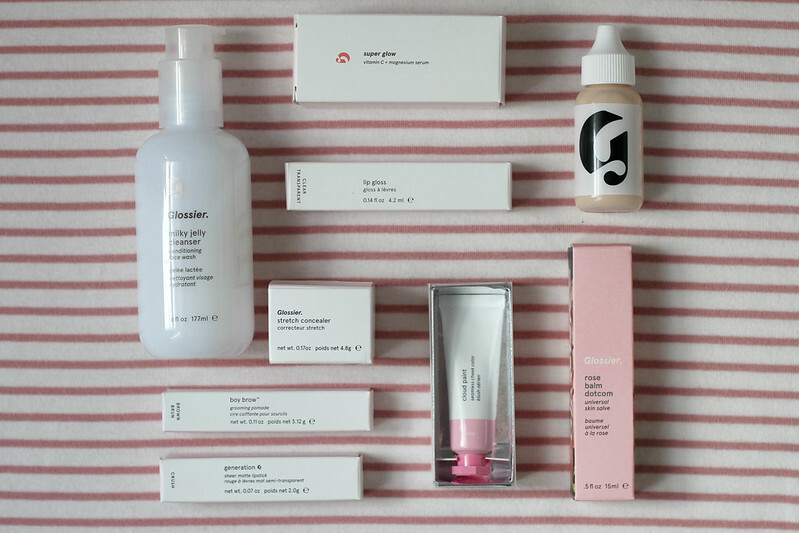 If you've tried any Glossier products? Is this a brand that you want to try or that appeals to you or do you think they're trying to hard to be different? Let me know what you think? 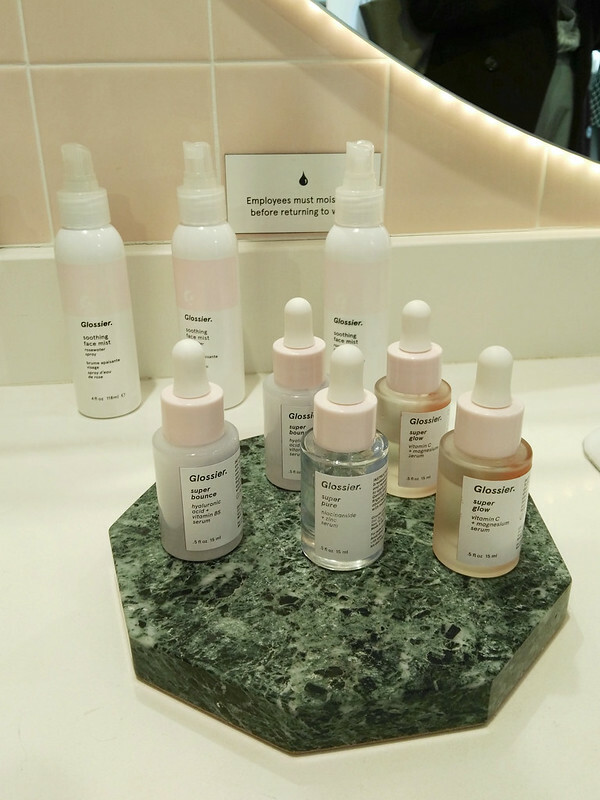 You can read the letter Emily Weiss wrote about the launch here which will give you more insight into her thoughts when she created Glossier.